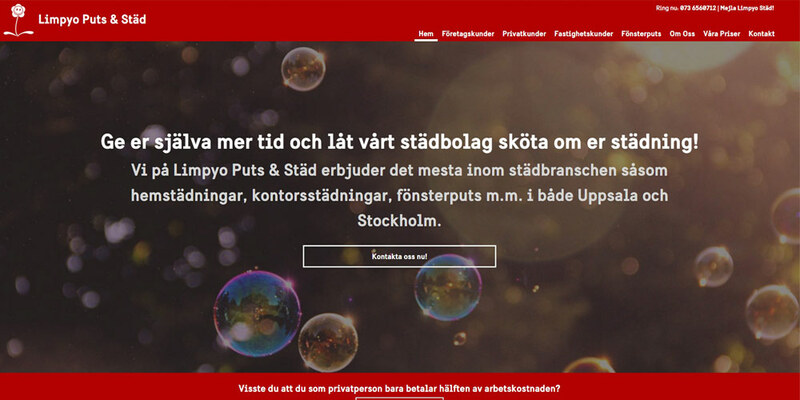 Limpyo Puts & Städ is a cleaning company located in Uppsala, Sweden. They needed to update their old website and I was more than happy to take on the design project. 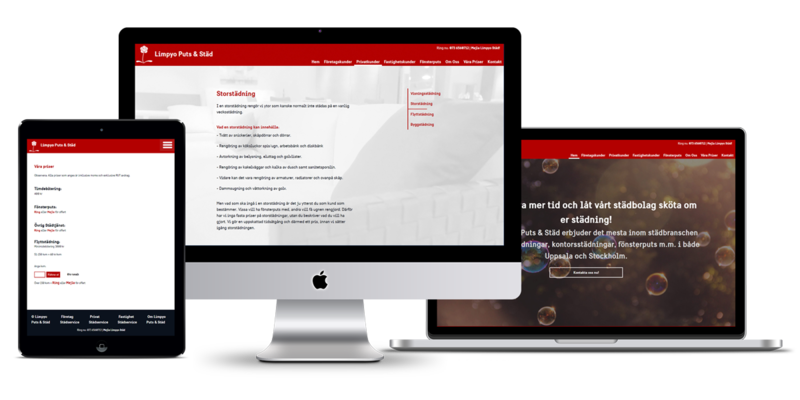 I chose colours matching their brand, added large image links for simple navigation through each categories on the homepage. Additionally, they required a price calculator to calculate the cost depending on the size of a home, which I wrote using jQuery. Lastly, I designed window icons in different shape and size for them to display different cost in window cleaning.